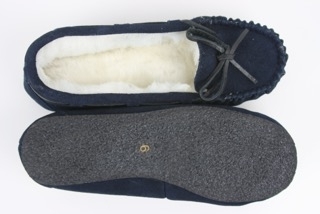 GRAND SALE - get ready for winter. 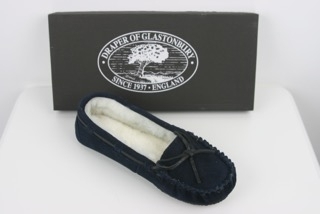 Draper of Glastonbury ladies' luxurious cosy Sheepskin Moccasin slippers in navy blue or black. 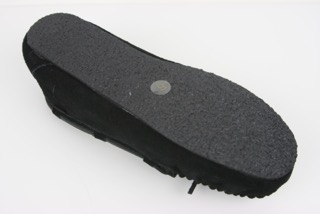 Purchase together with dancing shoes and save on postage costs.